What is a Motor Vehicle Dealer (Public Consignment Auction Dealer) Bond in Arizona? A Motor Vehicle Dealer (Public Consignment Auction Dealer) Bond is a type of license bond. The purpose of the bond is to protect the state or governmental entity for certain things, such as the payment of taxes. How Much does a Motor Vehicle Dealer (Public Consignment Auction Dealer) Bond Cost in Arizona? How do I get a Motor Vehicle Dealer (Public Consignment Auction Dealer) Bond? We make it easy to get a Motor Vehicle Dealer (Public Consignment Auction Dealer) Bond in Arizona. Fill out the form above and we’ll get right on this for you. Then we’ll get the Motor Vehicle Dealer (Public Consignment Auction Dealer) Bond right out to you. Easy. It’s required to have an approval from the government before starting a specialist or business operation. This approval indicates that your business is approved by the government to function, and that your functions adhere to the existing rules and regulations. you must then know that the key pointer here is that following the rules thereby protect your clientele, which you serve. The license to function is a proof that the items and services you offer is legal and reputable. In connection with getting a license to function, you need to realize that you could also need to acquire a license and permit bond. Realize that non-compliance to the governing rules might result in serious problems, so you must never fail to comply. Here is a simple guide for you to understand further the need for surety bonds. Here you may also learn the useful ways about how to get a permit bond. The kind of bond that you will need is dependent upon the type of business operation that you have. Two of the most common types of surety bonds that your business might need are discussed below. The first kind of surety bond is the most common, which is the license and permit surety bond. In case you are planning to offer professional service in Kansas, it is important that you know the governing rules in relation to this kind of business. The government will also need assurance that you are not doing anything illegal with your business. In addition, you must keep in mind that your consumers can directly report to the government regarding the operations of your business. Should you fail to act as specified by the government, the client will sue your bond. Due to your non-compliance, your consumer will then be paid out. You, alternatively, will suffer the consequences of breaking the law. Under this specific kind of bond, there are also several different sub-types. One good example is the contractor license bond. 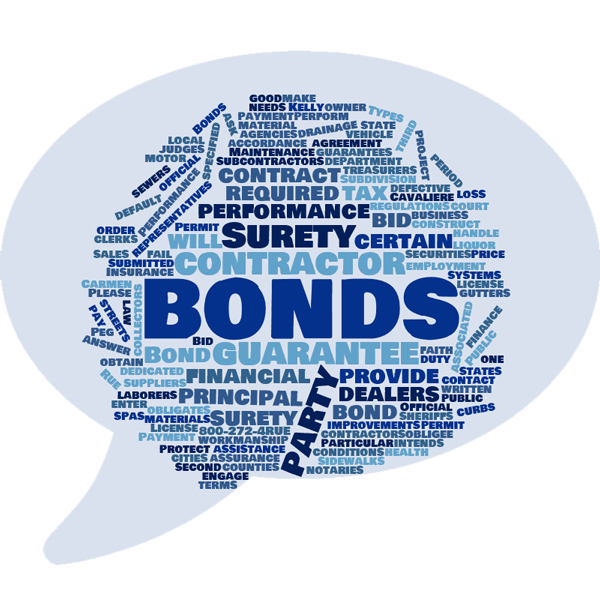 Another type of surety bonds is the performance bond. If you are involved in construction business, you will need this type of bond. It is as it covers certain amount of the whole project cost. This guarantees that the demands of the project are totally adhered to by the contractor and that result of the project is acceptable and dependable. Since the contractor has all the appropriate skills and knowledge to facilitate the needs of the client, he or she should not fail. The bond is therefore an insurance to the client that the contractor won’t fail to deliver results. They will also get a replacement contractor due to the contractor’s non-compliant. Listed here are a few of the benefits of acquiring permit bonds. License bonds are used to restrict the functions of several organizations, ensuring that they are in conformity with the existing laws. An expert will have to follow these laws to be able to run their organizations. The government in Kansas will require that each business has the license and permit bond. This allows the customers to secure their projects. The principal purpose of permit bonds is to ensure the clientele that they’ll receive quality service or project result. It is therefore crucial for contractors to make certain that they meet project requirements and supply the same. If they do, the consumer will not suffer any loss. Through the surety bond, the clientele are guaranteed of a secured project agreement. It is not challenging to apply for a license and permit bond as long as you follow the right methods. Below are the easy actions involved in the application for license and permit bond. Filling out the application form is the first step that you need to do. You could find this online application form through an authorized issuing company that is highly recommended by many users. This means that you should not only choose a platform that has the application form, but also make certain that it has verification. Once you get the form, you should only use the honest information when filling it. After you have submitted the application form, you will then get a quote stating the amount related to the surety bond you’re applying. You are going to make payments based on the quote you receive as response. You are going to not get a quote if you haven’t submitted the application form or if the application failed. After obtaining a quote, the next step can be the actual payment. Once you make payments, you are going to get a license and permit bond. Do not lie in the form. The honest information you provide will keep you out of trouble. Remember that the government is skeptic when it comes to legal documents. Also, you’ll need to give financial information connected to the bond, which makes it extremely hard for you to fake it. Permit and license bonds serve as an insurance to customers, which cover particular proportion of the whole project cost they are venturing. For instance, the government might require that you purchase a license and permit bond worth $500,000. In this case, only a relative portion of the whole project cost is insured with the performance bond. Instead, the payment you make will simply be equivalent to 1% of the entire bond’s worth. Your bond will protect your consumers from any misbehavior or disability to execute. You, as the company, should serve your consumers right and your bond will act as a shield if you fail to do the same. We hope that this article has help you understand further the importance of obtaining a license and permit bond. Nonetheless, you have to make sure that you get the surety bond from an authorized issuing company for proper processing of your business functions. See our Arizona Motor Vehicle Dealer (Used Dealer) Bond page here.